From 1990 to 2010, an average of 4423 US children age ≤17 presented to the ED every year for treatment of injuries resulting from amusement park rides. With an estimated 300 million people riding roller coasters in the United States every year, the overall injury risk is low.1 Nonetheless, ED physicians should keep the possibility in mind in cases in which there are inexplicable symptoms consistent with head injury, suggested the investigators in a 2018 review published in the Journal of Emergency and Trauma Care.1 They recommended asking about amusement park visits in the previous 3 months, as some findings have shown that “patients tend to minimize these events and avoid them during the medical interview, and other authors have reported cases where the onset of symptoms is 2 months after” the park visit. The vast majority of these injuries occurred between May and September, with an average rate of 20 per day, according to study results published in 2013 in Clinical Pediatrics.3 The most frequent injury sites were the head and neck, comprising 28% of injuries, and soft tissue injuries were the most common type (29%). 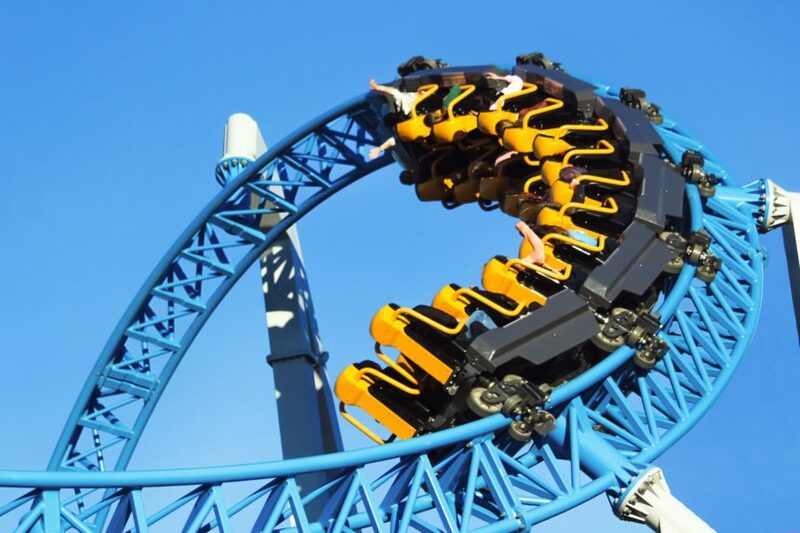 Although the majority of these incidents resulted from falling in, on, off, or against an amusement park ride, numerous case studies over the years have described neurologic injuries that appear to have occurred in the absence of any impact. Rates of hospitalization (1.5% annually) and death (4.5 per year) associated with amusement park rides, including roller coasters, are relatively low.2,4 However, the “neurologic complications after roller-coaster rides can be potentially catastrophic,” according to a 2016 case report published in Pediatrics.4 “Some of the rare complications that have been described include dissection of vertebral artery and internal carotid artery with or without concomitant stroke, intraparenchymal hemorrhage, subdural hemorrhage, and posttraumatic migraine,” the investigators noted. 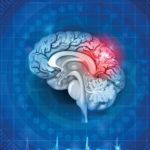 The researchers described a rare case of a spinal cord infarction (SCI) due to fibrocartilaginous embolism (FCE) that occurred in a 12-year-old girl with hemoglobin SC disease (HbSC) after riding a roller coaster.5 Several hours following the ride, she experienced new-onset neck pain and predominant left-sided weakness, which prompted a visit to the ED. After emergency treatment and subsequent rehabilitation, the patient regained some physical function and mobility, albeit with continued left hemiparesis, spasticity of the right upper and lower extremities, and limited motion of the right upper extremity. It should also be noted that, in some case reports, patients had repeated the ride multiple times during the park visit, for instance, 13 times for a patient with macular hemorrhage and 11 times for a patient with subdural hematoma).9 “Going back on the roller coaster with no break in between can be troubling, since symptoms can be delayed after getting off the ride, and the forces are cumulative over time,” said Dr Grant. There is a dearth of evidence regarding the long-term sequelae of neurologic injuries related to roller coaster rides. Further research is needed in this area. 1.Nam CBY, Pablo AS, Elena SV. Non-fatal injuries associated with riding roller coaster. J Emerg Trauma Care. 2018;3:1. 2. Thompson MC, Chounthirath T, Xiang H, Smith GA. US pediatric injuries involving amusement rides, 1990-2010. Clinical Pediatrics. 2013; 52(5):433-440. 3.Nationwide Children’s. New study finds 20 children a day during the summer are treated in US emergency departments for amusement ride-related injuries. www.nationwidechildrens.org/newsroom/news-releases/2013/05/new-study-finds-20-children-a-day-during-the-summer-are-treated-in-us-emergency-departments-for. Published May 1, 2013. Accessed April 5, 2019. 4. Levenson MS. Amusement ride-related injuries and deaths in the United States: 2004 update. Bethesda, Maryland. Consumer Product Safety Commission. www.cpsc.gov/PageFiles/108566/amus2004.pdf. 2004. Accessed April 10, 2019. 5. Ryan Eid, Ashok Raj, Darren Farber, Vinay Puri, Salvatore Bertolone. Spinal cord infarction in hemoglobin SC disease as an amusement park accident. Pediatrics. 2016; 138(3). 6. Freeman MD, Croft AC, Nicodemus CN, Centeno CJ, Elkins WL. Significant spinal injury resulting from low-level accelerations: a case series of roller coaster injuries. Arch Phys Med Rehabil. 2005; 86(11):2126-2130. 7.Tseng P, Kearl YL, Ansari A. Roller coaster-induced subdural hematoma in a previously healthy teenager. Pediatr Emerg Care. 2019; 35(4):e76-e78. 8. Pfister BJ, Chickola L, Smith DH. Head motions while riding roller coasters: implications for brain injury. Am J Forensic Med Pathol. 2009; 30(4):339-345.9. 9. Kuo C, Wu LC, Ye PP, Laksari K, Camarillo DB, Kuhl E. Pilot findings of brain displacements and deformations during roller coaster rides.J Neurotrauma. 2017; 34(22):3198-3205.